Our Spark is returning to DJI a bit worse for wear. As a rule, we try to send products back to companies in the same state they arrived, but that’s a hazard of real-world testing a product with four spinning blades: sometimes things end up covered in dirt and grass and the sacrificial blood of one poor TC staff member. The gesture control is tough to learn, for one thing. And drones in general have a fair bit of regulation to contend with. Also, even with safety controls in place, some blood may still be shed, as our video producer Veanne learned when she sacrificed her Memorial Day weekend and a small bit of her middle finger to take the Spark for a spin. That came from a mishap attempting to grab the drone after a flight. There was also a Charlie Brown-style incident that ended with the Spark caught in a tree (though, to our credit, we managed to avoid birdhouses altogether this time out). All of that despite the fact that Veanne is a seasoned videographer with some drone-flying experience. 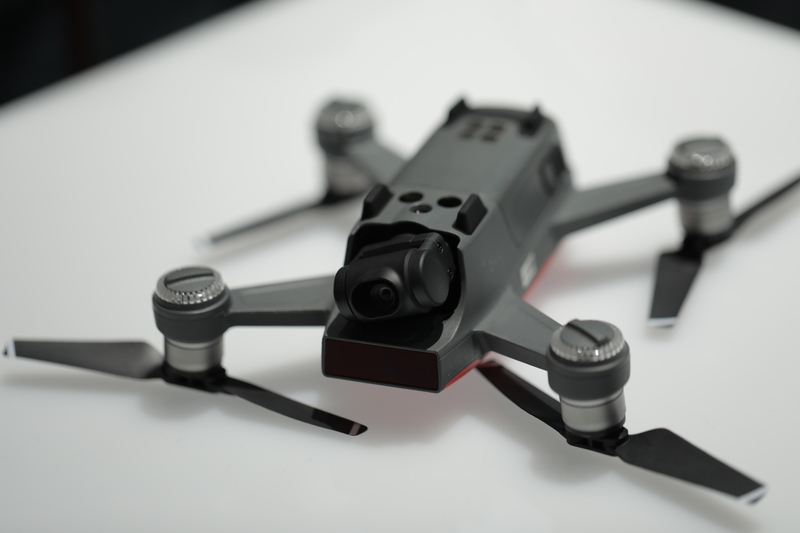 Even so, the Spark is a good candidate for those who have been eyeing a drone, but don’t have the funds or technical skill to pilot a high-end rig. DJI knows how to build a solid quadcopter, and the Spark mostly fits that bill. But any suggestion that we’re getting to a point where drones are as easy to operate as, say, an iPhone is woefully overstated. Battery life is really the biggest downside on that front. The company rates it at 16 minutes. That’s a bit more than half what the Mavic can do on a charge. The batteries are, thankfully, swappable, and a USB port on the Spark lets you charge the battery by plugging a cable directly into the drone. 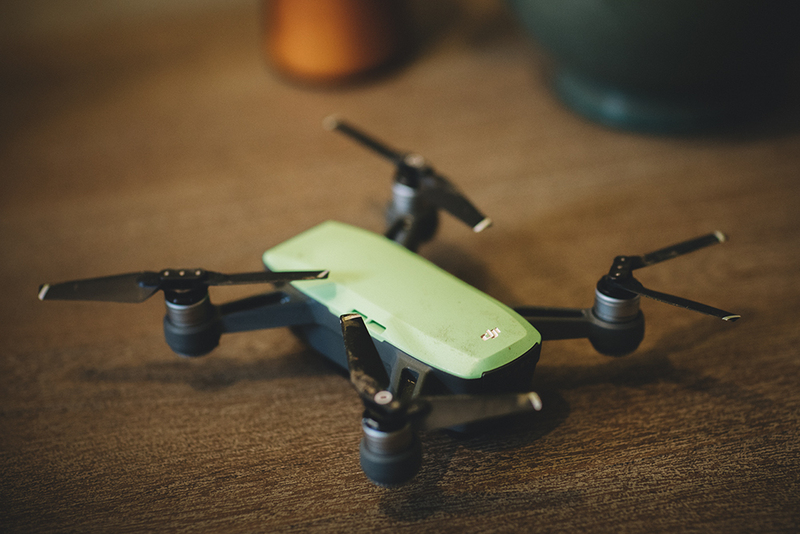 Though, as we learned the hard way: If you do end up buying the Spark, definitely add a second battery ($49) to your shopping cart — you’re going to need it. Here’s our intrepid producer, Veanne: “Sixteen minutes of flight time seems like ample time to fly the drone, but not so much when you’re still trying to figure it out.” I think “ample” may be a strong word here, depending on what you plan to do with the drone — and that estimate is toward the higher end of what you’ll get in real-world usage — but you get the point. There’s a learning curve that takes more than 16 minutes to get a handle on. There’s a lot happening under the hood, and the fact that DJI was able to build a device that can move based on arm swings and take pictures when a user makes a frame with their fingers is impressive. 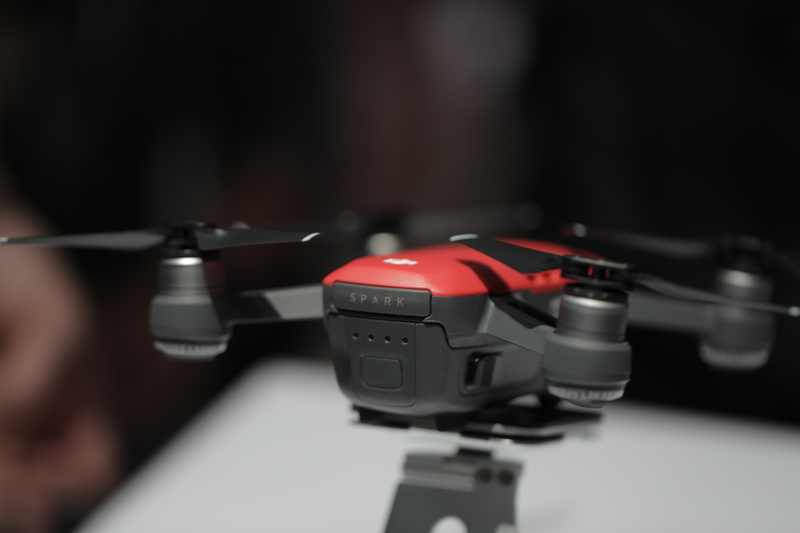 That the company packed those features into a $499 drone makes it even more so. But like our birdhouse run-in with the Mavic last year, we ran into some issues keeping the drone out of trouble. There’s a noticeable delay between making a palm gesture and the corresponding drone movement. And in a few cases, the Spark seemed to behave erratically based on a simple gesture. In one instance, the drone’s camera seemed to lose track of the pilot and could only be righted by taking control with the app. For the most part, the drone’s obstacle avoidance works as advertised, with the drone stopping and hovering in place before colliding with an object. For the most part. So, that’s how we lost a propeller guard and gained an extra coat of dirt. As for the blood, that part came thanks to a botched landing. There are, naturally, some safety features on board. 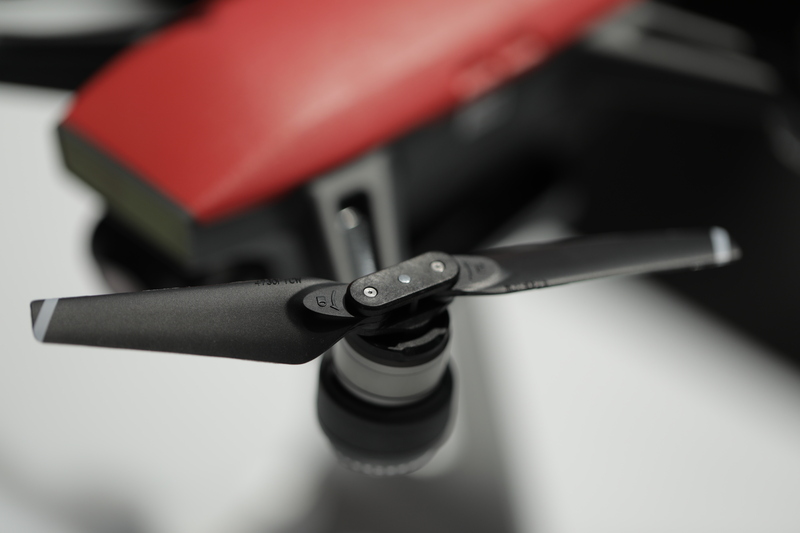 DJI lists a dozen in all, designed to help users avoid the spinning blades of doom, including one that shuts the propellers off when it detects that an object is getting too close. But poor Veanne still managed to get caught in the crossfire when attempting to pull off one of the built-in features. Truly mastering the drone takes more than a couple of days of testing, of course. But that brings into sharp relief the fact that the Spark isn’t really the beginner’s product it might have seemed at first. The simple fact of the matter, though, is that such a device doesn’t really exist yet. The promise of pulling out a drone for a quick selfie is still years out. The Spark does feel like a step closer, however — $499 is an easier pill to swallow for those who have been eyeing drone ownership for a while. And the device’s slew of different tricks will keep owners entertained once they’ve got a handle on the control system. Thankfully, there’s a pretty robust warranty system in place, as you work through the process.